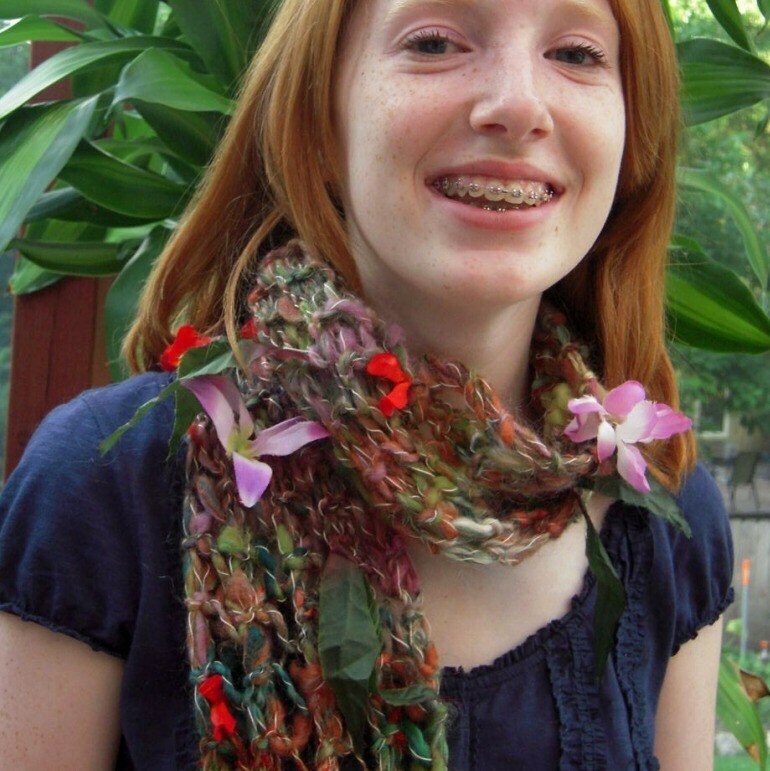 Handspun Luau Scarf PDF Pattern -- Wrap this scarf around your neck and imagine yourself on a Hawaiian island at a luau on the beach! This textured pattern includes faggoting, which works wonderfully with handspun yarn filled with flowers or any bulky handspun you've got in your stash. 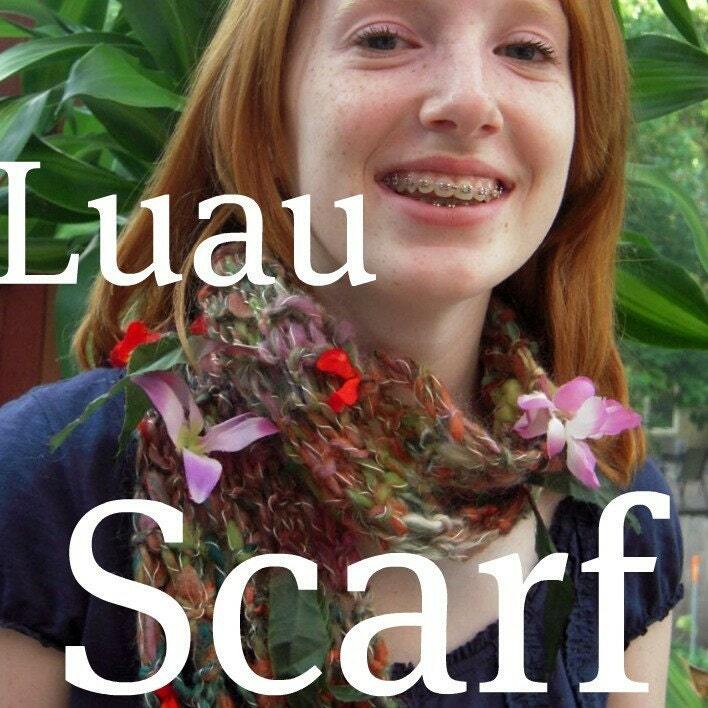 Knit one up and head to the luau party! Bulky or heavy worsted weight handspun (or commercial) yarn. Yarn used for the example photos is flower add-in yarn from etsy seller www.coolclimates.etsy.com and purple yarn is handspun from etsy seller www.tjstein.etsy.com. GAUGE: This is one pattern where gauge doesn't really matter! YAY! 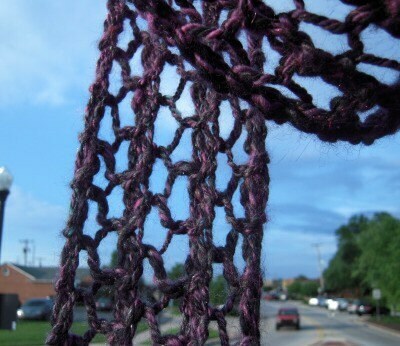 Any form of worsted, bulky or super bulky yarn will work. Just get a fabric with drape that feels good to you. SIZE: One size, fits teens to adults. 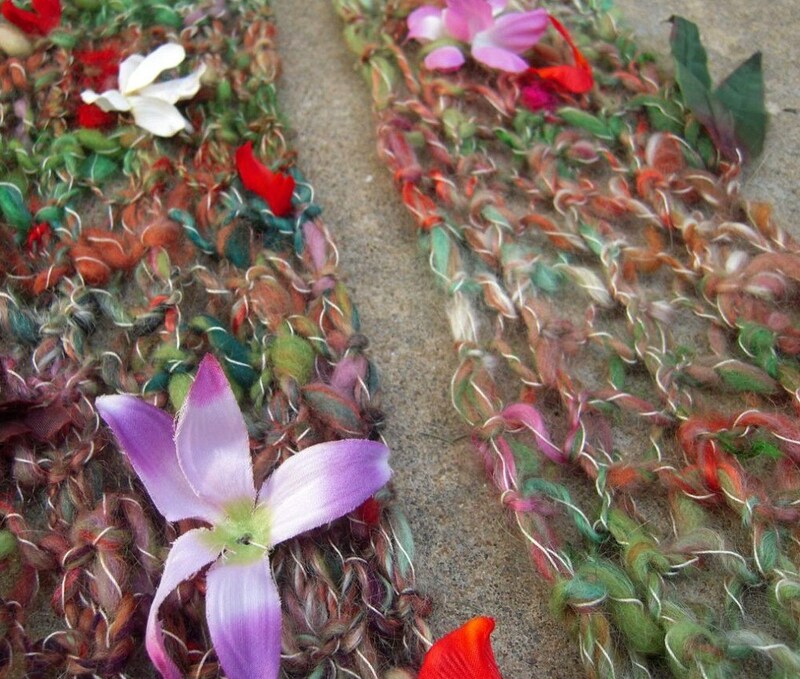 Finished sizes of samples: Flower scarf approx 6 inches wide X 66 inches long. Dark Purple scarf approx 5 inches wide X 84 inches long. 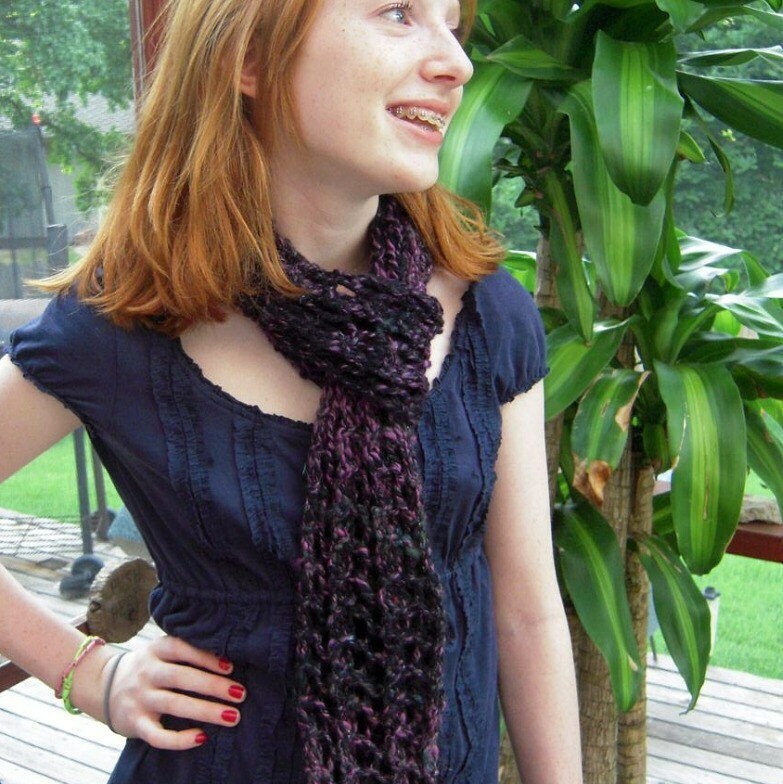 A pdf pattern will be available for instant download once payment is completed.